Treat your skin to eco-friendly beauty products that are all-naturally Made in the USA. 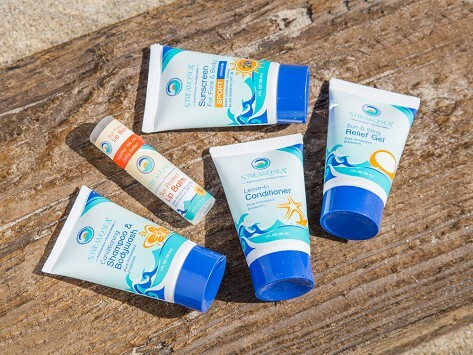 Because they are biodegradable, waterways and marine life won’t be harmed when they wash off. 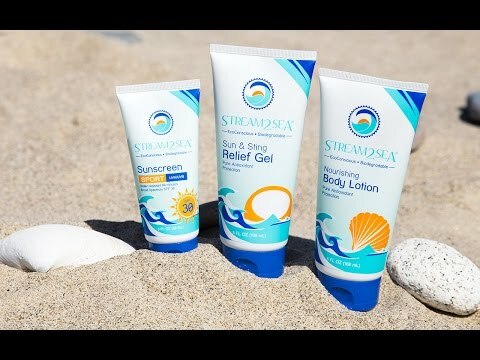 This collection of travel-sized sunscreen and body care is perfect for trips or to just toss in your bag. Keep your hair, skin, and lips looking and feeling good while treating the earth just as kindly. Dimensions: 5.75" x 3.5" x 3.5"